Take advantage of Fluidbook enhancements in your online training materials: animations, quizzes, slideshows, videos, detailed statistics etc. Fluidbook integrates the SCORM standard natively, making our interactive publications totally compatible with your LMS (Learning Management System). Over the years, our teams have produced hundreds of e-learning Fluidbooks. Don’t hesitate to contact us if you want our experts to help you with an online training project. You can define the key stages your students need to attain before passing on to the next stage. For example, the answers to a quiz or the reading of a piece of content can be validated by the click of a button. 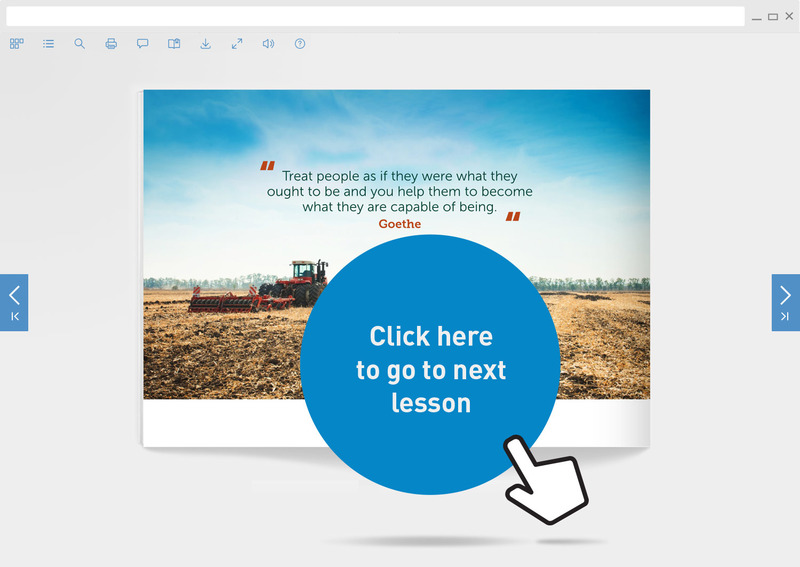 Or the viewing of a video can be required before gaining access to the next lesson. The possibilities are endless, and the enhancements produced by our teams are tailored to your exact requirements. The Fluidbook solution integrates the SCORM standard natively, meaning you can monitor the progress of each student in your LMS.